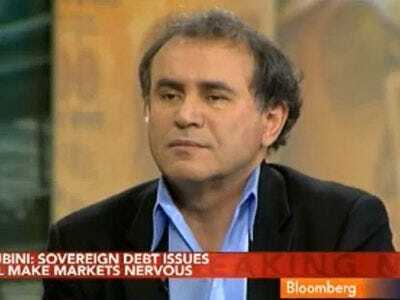 The U.S. and China are on a “collision course” over the Chinese currency and investors are underestimating the “consequences” for global financial markets, according to Nouriel Roubini. There is a 50 per cent chance that the U.S. government will label China a currency manipulator, Roubini, a professor at New York University, wrote in a note to clients. The yuan needs to be adjusted in the long-term, but as we’ve laid out before, if done wrong it will torpedo the global rebound. Thus it’ll be a shame if somehow the yuan political scapegoat ends up being running amok and tearing the legs off of the current U.S. rebound.